With Ferrari's Sebastian Vettel finishing fourth in Formula One in 2016, the team has some catching up to do if it wants to make it to the top of the podium in 2017. Part of that catching up involves engineering solid, reliable, and fast race cars. Ferrari unveiled its new car, the SF70H, on Friday in Fiorano—and we can't wait to see what it's capable of. 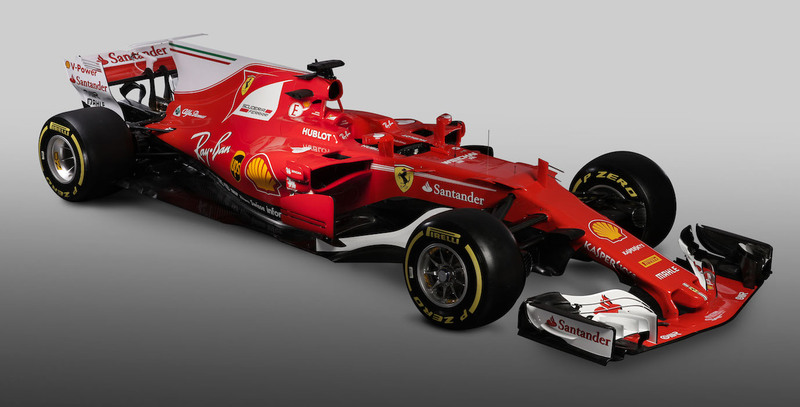 The new race car will carry Vettel and teammate Kimi Raikkonen around grand prix tracks during the 2017 season. The SF70H sports massive new sidepods, a longer nose, and a fin on top of the engine cover. Like the other 2017 F1 cars, the SF70H has more downforce, more mechanical grip, and wider tires. Basically, as we already knew, all these Formula One cars are going to be faster than last year's, and the SF70H is no exception. Video of the car on track for the first time following its reveal can be seen below.